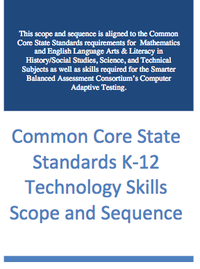 The image above will take you to the California website of their own version of the Common Core Standards. You will find content standards for grades K-12 that were adopted by the California State Board of Education. The image above will take you to the Napa Valley Unified School Districts Standards page. You will find links for standards at all grade levels and various contents, curriculum support, and assessment support.